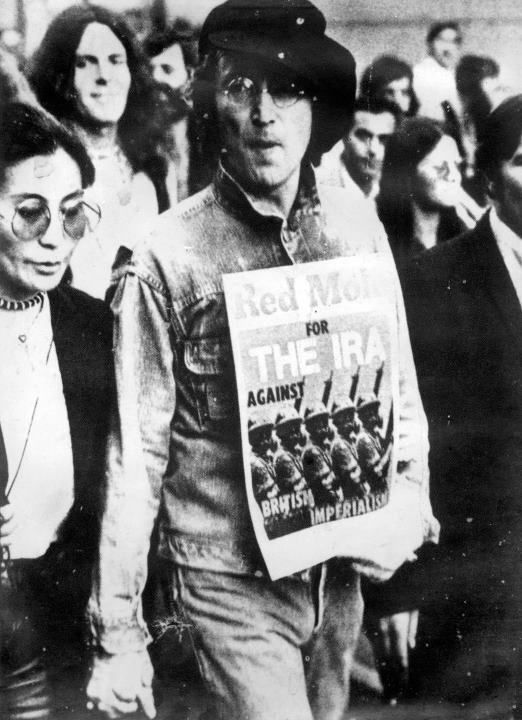 The events of May 1968 in Paris and around the world reverberated in Britain, in its industrial relations, in the wider culture and on the left. I went to help a young woman, who was being set upon by three policemen, and rugby-tackled one of them. She got away, but I was arrested. The next morning, I was up before the beak, who gave me three months suspended. After the Second World War, the Communist Party of Great Britain’s police was “all about peace”: They had Peace rallies and Peace Conferences—and they wanted peace in the workplace as well. They were always for a “fair settlement”—but we wanted workers’ rights, and workers’ control. We favoured an independent shop steward’s movement. We took up issues like health and safety because we wanted them under the control of the workers. Harry Thubron went on to teach at Goldsmiths where his approach nurtured artists like Damien Hirst and Sarah Lucas. Leeds College of Art inspired the revolutionaries at Hornsey, who occupied their college. 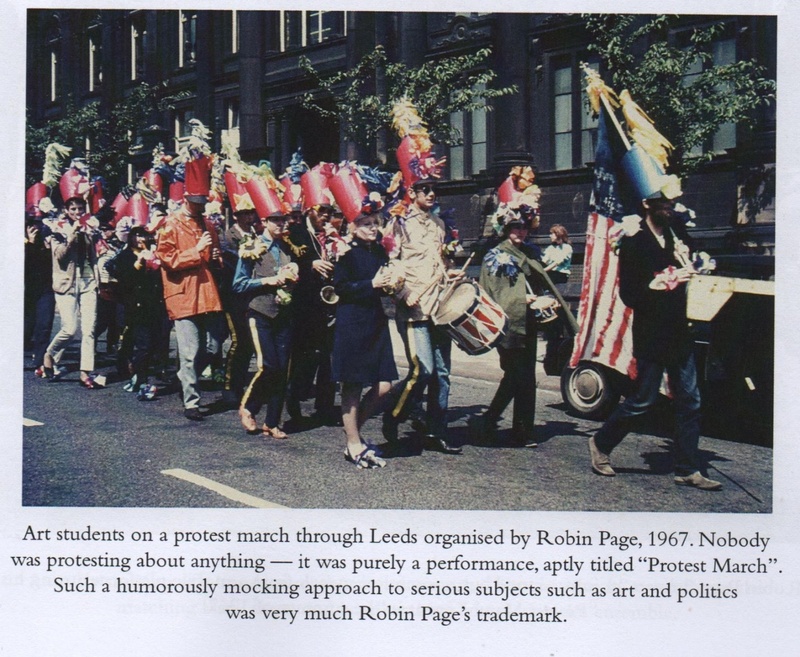 Hughes is sceptical about the “zeitgeist” of 1968. “I don’t believe in spirits.” Most of the country was still living in the 1940s. Shortly after the riots in Paris, Hughes visited his friend there, George Brecht. The students had ripped up the small pavé (paving stones) to use as missiles against the police. When he got to the door of Brecht’s Paris apartment, it was open but walking in he was surprised to see Brecht throw a pavé straight at him. Instinctively he grabbed it. “It squeaked.” “It was made of rubber, with a little whistle valve so that it squeaked when you squeezed it, like a child’s doll.” “I was impressed at how quickly the practical jokers had détourned the May events.” Inventiveness and creativity “were always there, under the surface, waiting to break through.” You could see the same playful use of language and imagery in the work of Tristram Shandy in the eighteenth century, or in Lilliput (the 1940s magazine) or the Beano (children’s comic), he said. Social historian Lucy Robinson explains that for the Labour governments of the 1960s there was a “move away from class and production towards issues of identity and fairness,” that were evident in the liberalisation of laws on divorce and the semi-legalisation of homosexuality.1 The growing importance of the politics of consumption, with a greater emphasis on youth and pop culture chimed with the post-war boom, and with a New Left. Initially, taking the advice of veteran trade union leader and Communist Party activist Betty Sinclair, the marchers sat down in the street and started to sing. After a few minutes, a young student activist stood up and began counting the police. She estimated that the sedentary marchers had numerical superiority and could overwhelm the police ranks and push their way into the city if the crowd charged forward. The real force behind these sentiments was the slow disintegration of the post-war, corporatist settlement between organised labour, industry and the government—the so-called “tripartite system.” In wartime industry and labour had been drawn into collaboration, elements of which survived after the war. Full-time union officials, local convenors and general secretaries were all involved in cooperating with management. This was the “fair deal” that the Communist Party was promoting. But over time these practices and institutions were inadequate to both the ambitions of the workers on the one hand, and the employers’ “modernisation” plans on the other. Younger shop stewards who had not been socialised into the arrangement were much more confident about taking “unofficial” strike action. The “New Left” was well placed to take advantage of the collapse of the old tripartite order—it was created out of the protests at the Stalinist compromises. The group around The Week joined up with Tariq Ali to become the International Marxist Group, and in Ireland, the student campaign People’s Democracy were talking to them, too. Some of those student leaders at the lse joined up with the New Left Review that Perry Anderson and ep Thompson had helped to create. The other left-wing group that rode the wave of Labour Party and trade union activism were the International Socialists. Their leaders traveled light intellectually, leaving a lot of Marxist theoretical baggage behind: Lenin’s theory of imperialism was out of date, they said, and the arms economy could offset the long-anticipated economic collapse indefinitely. 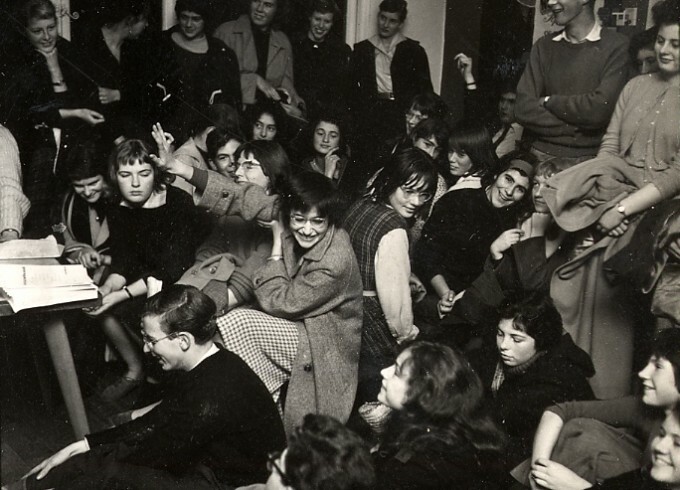 Such iconoclasm helped them to attract talented young students like Paul Foot, the Hitchens brothers, Peter and Christopher, Irene Bruegel (who did fine work analysing labour markets and women’s position in them) and the philosopher Alasdair McIntyre. For the next decade it looked as if the revolutionaries might overthrow the system. Days lost to strike action rose to 24 million in 1972. According to the government white paper, “In Place of Strife,” “95 per cent of all strikes in Britain were unofficial and were responsible for three quarters of working days lost through strikes.”4 The conflict in Northern Ireland went straight into fourth gear when the Unionist authorities lost control and called in the British Army. Some senior establishment figures talked about the need for a military takeover. Cliff’s plan of waiting for objective forces to drive people to revolt was a recipe for defeat. This was the essential flaw of the International Socialists—their fear of “substituting” themselves for the class made them reluctant to fight for political leadership. Instead, they left politics to the Labour Party. The New Left Review had done well relating to the new mood, even setting up New Left Clubs. But it shied away from the goal of overthrowing the state, preferring instead a reform of what it assessed to be an “incomplete bourgeois revolution” (this was known as the Nairn-Anderson thesis, after its authors Tom Nairn and Perry Anderson). Revolution in faraway places featured in its articles, but it was more cautious about social change in Britain. Leo O’Neill, who had been in People’s Democracy in Newry, Northern Ireland, told me that the whole organisation there was debating the drafts of Michael Farrell’s analysis of the situation there. But when it was finally published as The Orange State, good as it was, it was clearly not the key to the Irish revolution (I guess that what they really needed was a critique of the shortcomings of Irish Republicanism, as a guide, rather than a critique of the Orange State, which most people they were talking to had a good idea of anyway). The only real challenge to British rule was coming from the Irish Republican Army, whose limitations were hidden by the intensity of the conflict. The Communist Party in Britain recovered after the shock of 1968, and it even grew on the back of the workplace militancy of the 1970s. The two wings of the party were those organised around the older union convenors, and the others, who called themselves “Gramscians” and indeed saw themselves somehow as heirs to the évènements in Paris. The Conservative governments “resolved” the problems of British capitalism by forcing through a thoroughgoing reform of industry, not by modernising production, but by breaking up working-class institutions, and social solidarity. 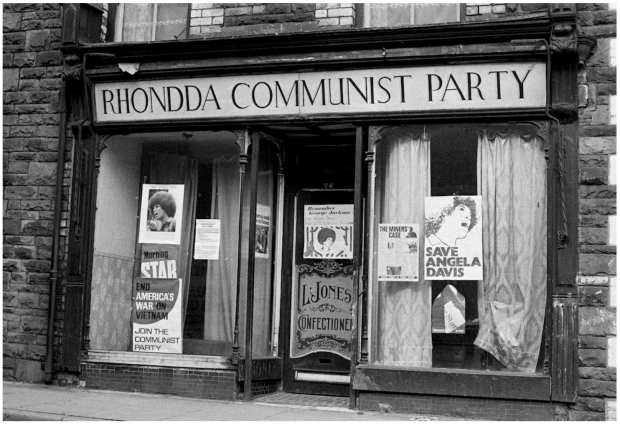 It was her Conservative revolution that ended up shattering the post-war compromise, and fatally wounding those who championed it: the old Labour Party and the Communist Party. The International Socialists got to be a lot more dogmatic, for reasons of internal coherence, losing much of the élan of their earlier years. The New Left had suggested an alternative resolution to the barriers faced by British society in 1968, one that emphasized creativity and freedom, and even workers’ control. In that they made a great contribution to the decades that followed. But practically speaking they failed to realise that alternative. They were much better at diagnosing the problems of the day than they were at crafting solutions. When the governing classes were at a loss for what to do, the revolutionaries of ’68 were—surprisingly—too cautious, or perhaps too virtuous, to step into the breach. Many have made the point that the rebels of ’68 provoked a greater reaction against them than they gathered support. In Britain, even though the voting age was lowered to 18 in 1969, the Conservative Party (under Edward Heath) won the election in 1970. All the same, the influence of the activists of 1968 was profound. British political leaders like Gordon Brown, Charles Clarke, and Tony Blair were all students of the New Left. So, too, were Jeremy Corbyn and John McDonnell. Entrepreneurs like Richard Branson and David Puttnam were products of ’68, too. Looked at another way, the influence of the ’68 generation was generally more effective in the criticism of the old arrangements than it was in the formulation of the new. When the French ’68ers became “postmodernists” and “deconstructionists” they were making a virtue of that political approach. English academics were frightened of those difficult theories, but they did over time learn from the French the dubious lesson that “the age of grand narratives” was over. Looking at the state of the nation fifty years on, the obvious signs of reorganisation come from the 1980s. It was then that collective bargaining made way for individualised labour contracts; and it was then that many nationalised industries and public services were privatised. But look further, and you can see the influence of ’68 in the growth of identity politics and the shift towards a consumer culture. But most of all, the legacy is that critique is a stronger force than construction; since 1968, the driving force of social organisation has been the dismantling of the old institutions, without creating new ones. James Heartfield lives in London.